Istanbul is enormous. I could look in any direction and see the same thing, an ocean of buildings after buildings, stretching into an ever-present haze. Whenever I thought I’d gotten a sense of just how large Istanbul really was, I’d climb a hill, see a new highrise-checkered expanse, and realize that, no, I had no idea how big it was. I looked up the square mileage on Wikipedia, but I’ll still probably never really understand its size. I imagine philosophers suffer from the same crippling confusion when they try to contemplate infinity. 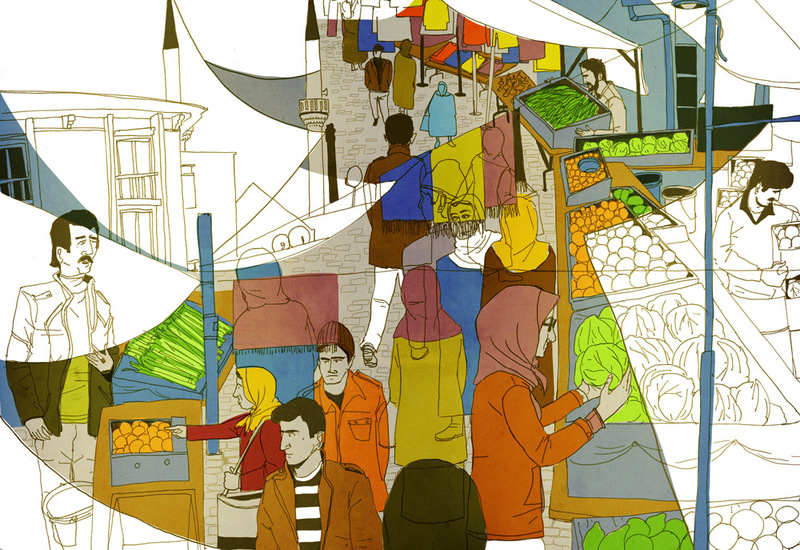 But there’s more to the city than girth; Istanbul is old, too. Like the size, it is difficult to put the age into perspective–the entire city is a mosaic of 6th century churches, 16th century mosques, and 21st century shopping centers. Eras are layered on top of one another, history and present are inseparable. 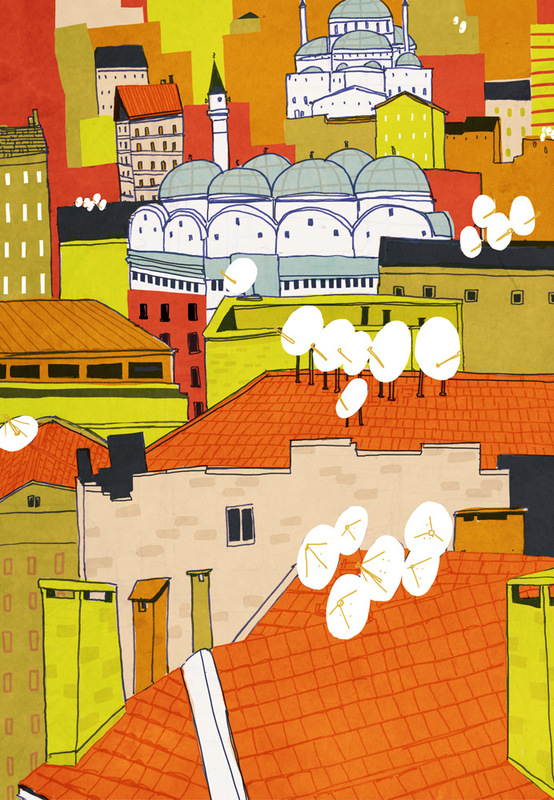 Every view of Istanbul is festooned with domes and minarets, half-constructed apartments, and satellite dish arrays. Istanbul is always modernizing. The last decade has seen the construction of dozens of malls and the replacement of hundreds of thousands of buildings with new, earthquake-resistant ones. New bridges span the Bosphorus. But look anywhere and you will see hints of an earlier time: cobblestones, defunct aqueducts, crumbled walls. Many shops and bazaars, though they’ve updated their inventory a bit, have been in business for hundreds of years. Pazaars are small, mobile bazaars; they travel around the city, settling in a new location each day of the week. Each one is a perfect depiction of why shopping in Istanbul is a stressful ordeal. You must simultaneously shove your way through crowds, endure unending harassment from salesmen, vigilantly protect yourself from pickpockets, and actually try to find what you’re looking for among a tangle of rugs, produce, and knock-off fashion accessories. Then you get to haggle. But to me, bazaars and pazaars were just museums exhibiting beautiful produce still-lifes, traditional textile art, and (cheap reproductions of) ancient artifacts. This attitude seemed to irritate every single shop owner, men who try very hard to make sales. Walking by shops became a tricky game of avoiding eye contact and sounding unenthusiastic about everything. Each shop owner was a master of deduction and consumer demographics–scrutinizing each customer, building a sales profile in their head. Your nationality, your potential budget, your interests. If I let my eye stray on one item for too long, they’d keenly take notice. “You like this rug, yes?” From there it was a delicate dance of turning down their offers while still staying in the shop owner’s good graces (a dance I never really pulled off). 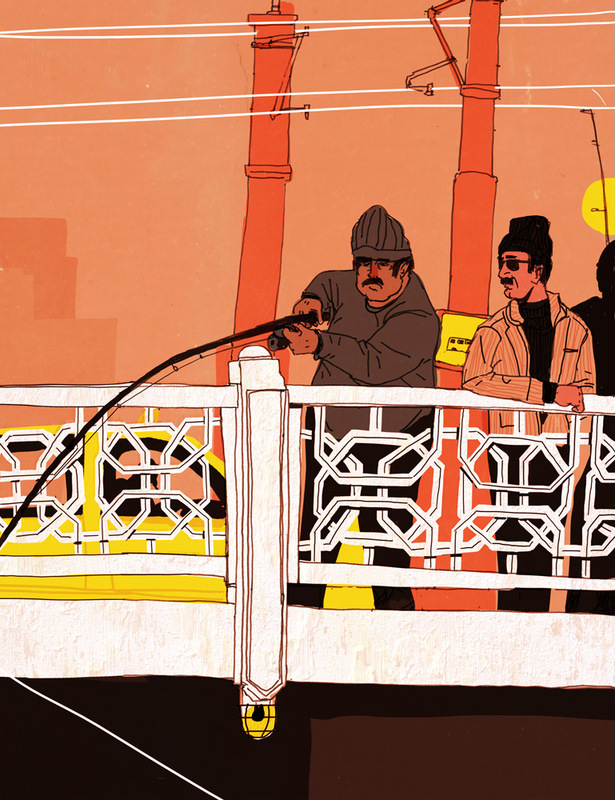 Even in December, fisherman line every inch of space bordering Istanbul’s waters. Small fishing boats are illegal due to the dangerous currents of the Bosphorus, so fishermen must stand practically shoulder to shoulder on docks and bridges. Their lines are caught in a constant up and down, usually attached to fish too tiny to even consider eating. Buried under a crowded layer of jellyfish, there might be a few fish worth catching, but most have been farmed by the large fishing vessels that have the luxury to do their fishing in the water. At night, I’d see small fires burning on the sides of the road, men huddled around them cooking their finest catch for a late dinner. 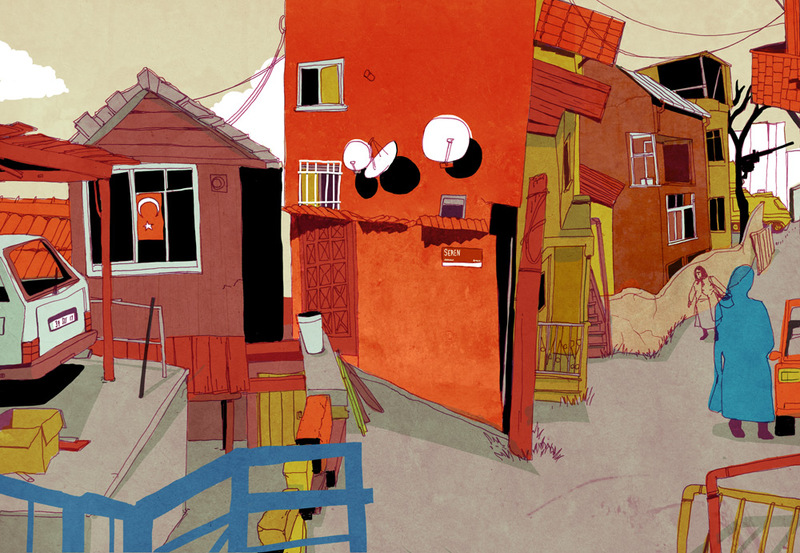 One of the poorest areas of Istanbul, the Kurdish neighborhood was built secretively, in three nights. At dark, the Kurds erected hundreds of makeshift houses. 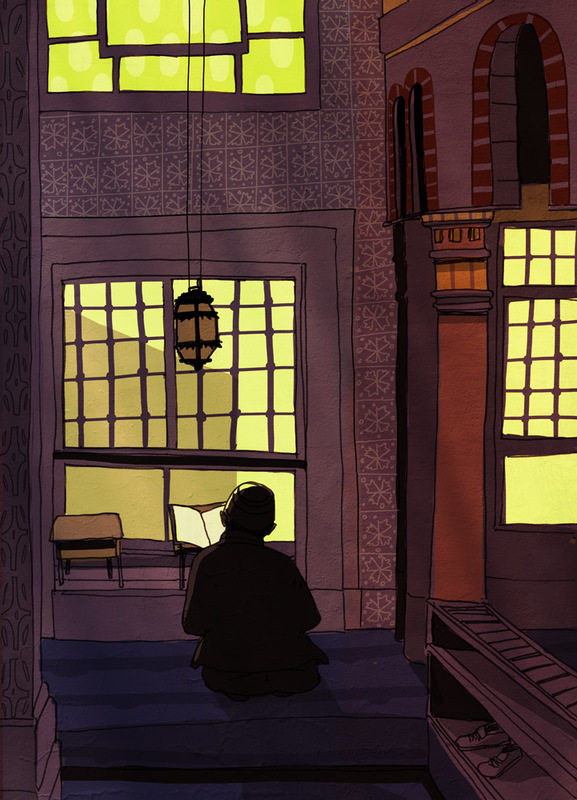 The building ceased once the government caught on and cracked down–well, tried to crack down. The Kurds had come prepared to defend their land, and after a decade of armed conflict, their neighborhood remains, sitting right on prime Istanbul real estate. It is supported by the municipality, but barely. The neighborhood features rolling blackouts, a spotty water supply, and 65,000 people sharing a single, tiny hospital. The residents are shy and keep to their colorful homes. A police tank is still parked on the street–an artifact of the neighborhood’s strife-ridden beginnings. One of the first things I noticed about Istanbul were the packs of cats roaming around, picking open trash bags and eating from them, meowing through the night. 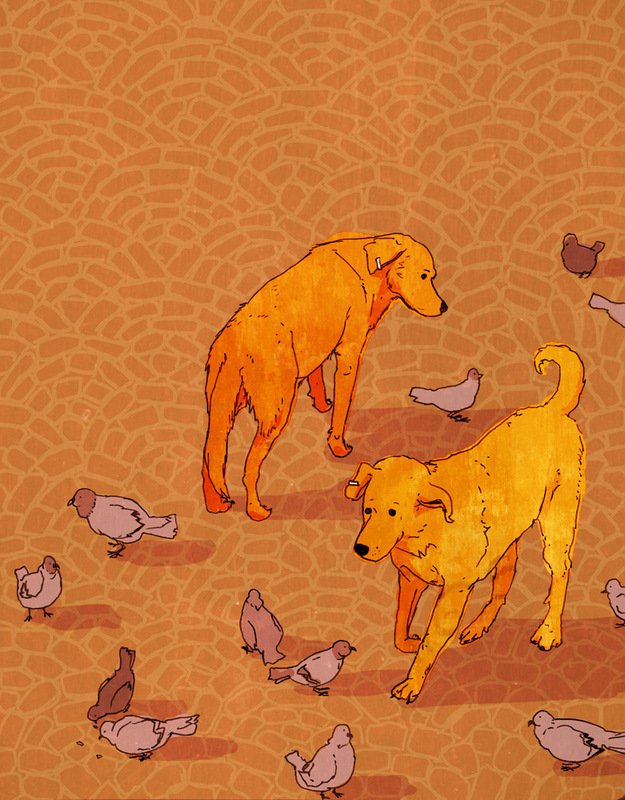 Stray dogs wandered the streets everywhere; they made me nervous. But these cats and dogs are actually pets of the city; the municipality tracks them through ear tags, feeds them a couple of times a day, and make sure they get their shots. In return, the cats get rid of rodents, and the dogs walk around being friendly and making people happy, as dogs tend to do. As somebody who has wanted a pet for the last 22 years, I appreciated this program — I just wish I’d known about it before I spent days avoiding all these affable animals. In retrospect, I should have known; such a program explains why the dogs weren’t hostile or emaciated, and why the cats weren’t eating any of Istanbul’s many fat pigeons (though I still don’t understand why the cats eat so much garbage…). The whole experience was like having a pet that follows you everywhere; a different animal, yes, but they would blur together through the bazaars, on the streets, and outside every mosque. Going into a mosque is a pain in the neck–literally–it is difficult to not to tilt your head up to admire the space. Mosques are like very open, very carpeted, very well-lit cathedrals. Like cathedrals, they are massive and imposing and awe-inspiring, but unlike cathedrals, they are somehow comfortable. Ornate geometric and calligraphic patterns make up for the lack of paintings of angels and gory crucifixion scenes. And while so many cathedrals go overboard with the noisy golden trinkets and elaborate scenes set in bas relief, even the grandest mosques never go beyond tasteful elegance. However, I will say that I prefer the bells to the startlingly loud, five-times-daily, nasal chanting of the call to prayer. The shrill voice made me jump every time it was blasted at volume volume across the city, through megaphones attached to minarets. It became an anchor to structure every day around; at once an alarm clock, a dinner bell, and a reminder that I was very far from home.